The concept of rentierism is deeply entangled with understandings of state formation and state-society relations in the Arab Gulf states. But it’s not just about oil; rentierism and late-rentierism are investigations about ownership, distribution of resources and sharing of everything from public employment to electricity to foreign investments. As Claire Beaugrand neatly unpacks, the idea of oil and of shared wealth is intrinsic to state identity, but also to the way that scholars have approached the region and their investigations of it. She explains that oil rentierism has morphed into a “theoretical metonym”, to use Appadurai’s term, which has dominated knowledge production of the region. What the concept has engendered is a preoccupation with wealth, with competition for resources, and with the idea of ownership. It should come as no surprise that this idea of ownership might be contested, especially in new times of changing understandings of what states can dedicate in their fiscal policy towards the public sector wage bill, mounting defense spending, regional aid and outwardly placed investment partnerships. One way of rethinking this relationship is through the concept of the “citizen shareholder”, a term deployed by Beaugrand and Ennis to suggest how capitalism and its particular ethics of ownership connect to Gulf political economies. While Ennis problematizes the role that women play as agents of liberalization and entrepreneurship in the late-rentier model, both scholars show how the metonym of oil and its rents define identities of citizens and inform descriptions of the politics of these states. This essay focuses on a distinctive site of these relations between rentier economies and citizen shareholders: the sovereign wealth fund (SFW). SWFs are based upon the shared rents from oil (really any natural resource) production, but as they have evolved they are also becoming transformative in new national development strategies. These SWFs now veer from traditional practices of safe-guarding wealth to more experimental and high-risk strategies that claim to be able to diversify national economies from oil dependency while also promising high returns. The moment of late-rentierism is now heightening questions of ownership, of the state’s role as guardian or steward of society’s wealth. The purpose of a sovereign wealth fund (SWF) is like an inter-generational savings account, a collective nest-egg of society that is held and managed by the state. Not all sovereign funds are based on natural resource wealth, but in the Gulf states they are exclusively the product of oil and gas revenues. Foreign reserve assets, or traditional reserves in the Gulf, are also products of oil and gas sales abroad, but these funds may be managed more conservatively and are generally like cash savings, meant to stay liquid and easily transferred. Some sovereign wealth funds are focused on domestic investment, while most in the Gulf are meant to be deployed abroad in an effort to grow wealth, but more frequently also used to extend political reach. The deployment of SWFs as a tool of economic statecraft (using economic means to achieve foreign policy goals) is not unique to the Gulf states, but the intensity of their use as political outreach, leverage, and increasingly in competition with each other is a regional trend. Like the economic diversification efforts unfolding across the Gulf Cooperation Council states since late 2014 when oil revenues sharply declined, there is a growing diversity in approach by governments in both how to spend more precious income from oil and how to deploy the wages of oil abroad. We now observe experimentation in fiscal policy across the Gulf, as governments make diverse decisions about where they can reduce spending on generous benefit programs and employment opportunities for citizens and how they might capture savings from their expatriate populations in the form of new taxes and fees or by simply excluding them from certain sectors of the labor force. This slimmer, meaner form of fiscal management has also meant a renewed focus on value for money in investments and aid abroad. Sovereign wealth funds of the Gulf states are thus developing some distinctive characteristics, reflective of the “visions” of their leaders for national economic development. SWFs and their management can tell us about how leadership in these states prioritizes (or minimizes) local economic growth and domestic constituencies. They tell us how Gulf governments view international partnerships as targets of state investment initiatives. They tell us a lot about appetite for risk, not just in the language of investments, but in how leaders take liberties with the savings of their citizens. Even more broadly, the ideas of collective wealth embodied in the SWF can serve as a barometer of state-society relations, defined by how leaders and governments view their responsibility for caretaking and increasing national wealth. These choices also demonstrate how leadership perceives a time horizon for meeting development goals. For example, prioritizing short-term goals of job creation for nationals by accelerating both domestic and outward-placed investments to acquire stakes in new firms that promise to provide local operations, including high tech-focused investments, invites a certain level of risk. A willingness to borrow signals a sovereign wealth fund is more of an active investment fund, or a hedge fund, rather than a safe deposit of shared wealth. In the latter, we see the emerging characteristics of the Saudi sovereign wealth fund, the Public Investment Fund (PIF). It is borrowing, selling off existing stakes in state firms, taking a short-term view of returns, and willing to engage in partnerships with foreign funds. A higher risk tolerance in investments of a SWF can be an indication of the state’s perception of threats to its domestic legitimacy—perform and deliver now or risk unrest and an unsatisfied population at home. Those with longer-term horizons also include some institutional measure of accountability, through parliament or by law as in Kuwait. The Kuwaiti fund specifically declined opportunities to join UAE and Saudi partnerships with higher risk technology firms like Softbank. Mergers of investment funds also point to political consolidation within national systems, as we see in the federation of the UAE. In Saudi Arabia, we have seen a recent radical shift in the government’s approach to sovereign wealth. The Vision 2030 diversification plan specifically tasks the Public Investment Fund with generating domestic growth and employment opportunity, as well as increasing partnerships with international investment funds. Historically, Saudi Arabia did not see it appropriate to set up an outwardly-focused investment fund of its national oil revenues. The Saudi Arabia Monetary Authority (SAMA) is a central bank and has had responsibility for foreign reserve assets of the government. It was only in the recent upturn in global oil prices between 2003 and 2014 that Saudi Arabia began to amass such high reserves in foreign currency. Most of Saudi investment in this period was very safe, low risk in foreign currency accounts abroad and in the purchase of other governments’ debt, specifically large holdings of US Treasury bonds. The earliest externally focused sovereign wealth fund in Saudi Arabia was established in 2008, the Sanabil Al Saudia, with just $5.3 billion in assets. The Public Investment Fund (PIF) was founded by royal decree in 1971 with a focus on domestic investment. The PIF has been a part-owner of some domestic industry, including the petrochemical giant SABIC, which the PIF now intends to sell to another government entity, Aramco, the national oil company. The PIF is both a source of capital and a new destination for government funds. Its new role in Saudi political economy is unprecedented. It is the central engine of growth in the new Saudi Arabia, as envisioned by the new Crown Prince Mohamed bin Salman. State resources are directed to feed the PIF, and state assets are being sold to raise cash for the PIF. At the same time, money is moved from foreign reserve assets to the PIF in order to be placed abroad in new kinds of investment opportunities outside of the norm of Saudi investment history. The new investments are not in long-term, low-yield US Treasuries, but rather more risky investments in technology firms like Uber, entertainment companies, and massive real estate projects or “giga-projects” as they are called in the Vision 2030 National Visualization Programs. Perhaps most importantly, the PIF is now a strategic partner with private investment funds like the Softbank fund, which is responsible not to citizens, but to shareholders or fund partners. The shift in Saudi Arabia from conservative SAMA to the new PIF is a repurposing of existing institutions to create a system of state institutions within the state. This is the Crown Prince’s parallel Saudi state, with its own agenda for economic growth and a very strong hand against internal dissent or alternative ideas about the appropriate role of private enterprise in the service of the state, or ideas about the state in the economy. The other characteristic of the new PIF is its accelerated pace of investments and expansion of the institution itself. The horizon for growth is short. The imperative is to demonstrate quick returns and opportunities for citizens now. The long-term growth horizon is hazy. If a technology firm wants PIF investment and agrees to start operations inside the kingdom in the next year, the payout can be huge for the firms. For the citizens of Saudi Arabia, the benefits are meant to satiate immediate needs for job growth and to show demonstrable signs of diversification. This means new entertainment venues, theme parks, and the infrastructure of a changed society and service economy. Whether or not these investments provide long-term productivity growth or steady returns on investment become secondary priorities. Because the Crown Prince is concerned with a young constituency, his directives to the PIF are largely short-term in scope and equally high-risk. He wants results (and returns) now, though what will be left of the PIF in twenty or thirty years is less of a public policy priority. In the UAE, there has been a recent consolidation of investment operations of multiple sovereign wealth funds. As the UAE is a federation, there are funds owned and operated by individual emirates and their ruling families, and inside of Abu Dhabi’s government there are also multiple funds. The question of how sovereign wealth is shared and transferred to citizens is complicated in the UAE by the transfer of wealth within the federation. The fiscal policy of the UAE remains dependent on transfers from wealth based in Abu Dhabi to the other six emirates. These transfers are not clearly codified in constitutional law, such that there is tremendous latitude in what Abu Dhabi may or may not decide to share with the federal government. For example, the Investment Corporation of Dubai is an investment fund of the ruler of Dubai and contributes to the revenue of the emirate of Dubai, which makes some contribution to the federal budget. Revenue sources from the Abu Dhabi National Oil Company go to the emirate of Abu Dhabi and are then dedicated in part to the federal government. Funds from oil revenues also go to the Abu Dhabi Investment Authority, the largest outwardly-focused investment vehicle of the emirate. Smaller funds in Abu Dhabi include the Mubadala fund, which was created to focus on domestic technology innovation and investment, and the International Petroleum Investment Corporation (IPIC) with an outward focus. In June 2016, a merger was announced between Mubadala and IPIC, which was finalized in January 2017. The merger was a result of financial consolidation in the emirate of Abu Dhabi in the era of reduced oil revenue and as a realization that the new investment funds were not delivering the returns for which the government had hoped. Abu Dhabi Investment Council (ADIC) formed in 2007 as an investment arm of the emirate with a focus on domestic firms, mostly in the finance sector. The Emirates Investment Authority is the only federal SWF, but it is also one of the smallest in assets. Created by federal decree in 2007, it invests both domestically and internationally, with significant stakes in the national telecom sector. The overall SWF strategy in the UAE is divided between diversification efforts domestically, with a strong focus on technology and renewable energy innovation via Mubadala, and a quiet and traditional portfolio investment approach by ADIA. Much of ADIA’s outward investment is managed by other funds, many based in the US or UK. This is a an out-sourcing of public savings and resources, characterized by a very low profile within the country. Earnings are not public; holdings are not disclosed. The UAE’s design of wealth management is like a federation. The largest assets are held and managed by Abu Dhabi and its ruling family, but the assumption is the wealth is to provide services for all citizens of the UAE. As this wealth expanded substantially from 2007 (when many of the funds formed) to 2014, there are now choices about how to better merge funds and direct investment internally. There has always been competition between emirates, and SWFs are likely to share part of that ethic, especially as state-owned entities like telecoms, utilities and aluminum smelters are now considered for privatization. These firms are all partially held by state (or emirate) investment entities, but their sales are meant to provide revenue for the citizen population and its federal authority at large. The overall consolidation of investment vehicles in Abu Dhabi also relates to a consolidation within the ruling family and the identification of stewards of wealth, as well as rising stars within the emirate’s power structure under the crown prince Mohamed bin Zayed. The appointment to management of these funds is also a sign of patronage. Kuwait and its massive SWF the Kuwait Investment Authority have a premier status in the investment world. Founded in 1953, it is the oldest SWF in the world. Known for its conservative management and consistent returns, Kuwait’s strategy has always been focused on outwardly placed investment and never really bothered with domestic development or diversification goals. The idea is to export capital and have it return in multiples, mostly to be saved. In 1986, KIA revenues were more than oil revenues. The Kuwaiti strategy has the advantage of accountability. 10 percent of national oil revenues are committed to the fund each year by law. Kuwait’s parliament has the ability to question ministers, including the head of the KIA, in its debate sessions. According to recent reporting by the Financial Times, the Kuwaiti investment strategy continues to be international but has made a recent pivot to Asia. China and other Asian states are the prime customers of Kuwait’s oil exports, so the investment linkages reflect a broader integration of economic and political interests. Oman does not have the wealth of its neighbors. Since 2014 its reserves have suffered and it has relied on extensive external finance to fund its fiscal budget. The Oman State General Reserve Fund is essentially a foreign reserve fund established in 1980, but there are newer funds like the Oman Investment Fund of 2006 and the Tanfeedh program (which is a national development fund, not a sovereign wealth fund) that are designed to fund and encourage domestic investment that serves the goal of economic diversification away from oil dependency. Many of the investments have been in tourism, ports, and fisheries, and one of the key tourism partners has been the Omani military pension fund. The outcome is that many key non-oil sectors remain strongly in the hands of government ownership and frequently under the indirect control of the military. The government is under significant pressure to demonstrate it can create jobs for nationals and that it can diversify its economic activity away from oil production. The Omani government follows a five-year development strategy and has been engaged in its own “national transformation” for economic diversification, with changes to managerial practice within ministries, including meeting key performance indicator targets within the Tanfeedh program. Combining government investment funds and streamlining the multiple ministerial stakeholders in local development projects has meant disrupting inefficient management and integrating parallel investment silos across ministries. There are new efforts to streamline these various funds, specifically the Reserve Fund and Oman Investment Fund along the model achieved by Mubadala and IPIC in the UAE. For Oman, this would help combine tourism investments so that outside partners might help shoulder some of the cost (and reap the benefit) of domestic economic development plans, as in the Omran fund. The general trend is a gradual opening to partnerships in domestic investment funds and some consolidation under more technocratic management with a vision to the necessary political and economic changes ahead. Oman’s first leadership transition in more than 40 years seems imminent, and the restructuring of its sovereign wealth funds reflects some of the bureaucratic preparation underway. In Bahrain, oil reserves are scarce; surplus foreign reserves and capital to invest abroad are just as dear. The Mumtalakat is the Bahraini sovereign wealth fund established recently in 2006 by royal decree as an independent holding company for the government’s commercial assets. The fund does not receive oil revenues from the state, but rather is a mechanism to invest the earnings of other government entities. The government transferred ownership stakes in a number of public entities to start the fund on the model of a holding company. The fund is a shareholder in a number of government-related entities, like Gulf Air, Aluminum Bahrain, National Bank of Bahrain, and Batelco. Bahrain will likely sell off some of these entities in the future. The role of the SWF will be important as the government faces some difficult choices in cost-savings. The model of the Mumtalakat is representative of Bahrain’s highly leveraged situation, squeezing the most out of every resource. In Qatar, the power to spend is the power to extend influence, to gain state recognition and international legitimacy. Founded in 2005, the Qatar Investment Authority serves to place surplus oil and gas revenue abroad to increase returns. QIA has invested far and wide, from equities to real estate and high-profile acquisitions in Western commercial brands, banks, and corporations. For many years, the fund was closely associated with the former prime minister Hamad bin Jassim al Thani (HBJ) and his deal-making was both prolific and brash. More recently, Qatar has used its purse power to seal political alliances, from Turkey to Russia. The demand for immediate return on investment is not dire, as Qatar does not face the fiscal constraints of its neighbors. For that reason, many of its investments seem more glamour- and identity-driven than earnings-driven. More recently, Qatar has made investment commitments that are clearly for political motivation, e.g. in Turkey. The deployment of wealth by the state serves multiple purposes. Since June 2017 with the embargo of Qatar by Saudi Arabia, the UAE, Bahrain, and Egypt, the rising tide of patriotism and nationalism has inoculated against any public resentment for bad investment decisions made in the name of political solidarity. Comparing different investment strategies of Gulf sovereign wealth funds reveals some simple understandings of how states see their responsibility to shared wealth and how shifts in the management and organization of these funds reflects some institutional changes underway within the GCC states. Oil wealth, or its expected promise, is not the only source of state legitimacy in the Gulf, but it has been important in state formation and in the maintenance of state-society relations. Since late 2014, a period of economic reform has shifted some expectations of state provision of benefits and resources. 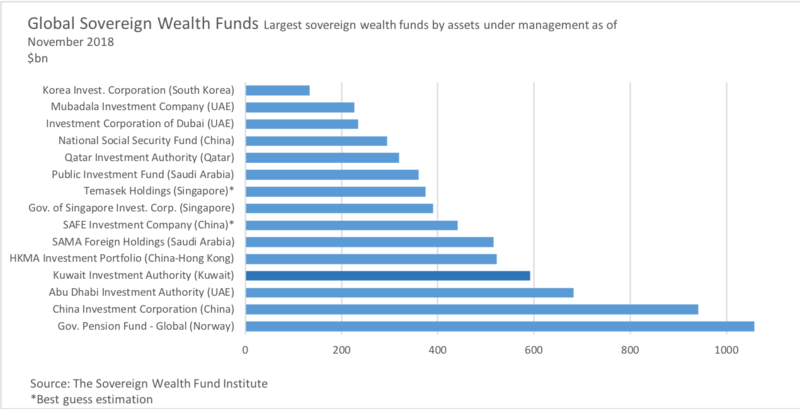 Yet, the role of sovereign wealth funds has been slower to change, perhaps with the exception of the Saudi case in which the PIF is front and center of the diversification efforts. The efforts to reform the rentier structure of Gulf economies, including reduced subsidies of energy, openings to foreign ownership of firms, and relaxed visa restrictions on long-term residency all indicate the state’s interest in diminishing citizen shareholding in public resources. Conversely, citizens are more responsible for creating their own sources of wealth and social service provisions. SWFs are also under pressure to deliver higher returns, but often in more centralized development paradigms. Variation in how rulers leverage SWFs to broader diversification and development strategies tells us a lot about the immediacy of their reform agenda. How a state manages its nest egg may be an important indication of how it measures accountability to citizens and its willingness to gamble future savings for immediate demands to govern, provide, and maintain regime stability. Baldwin, D. (1985) Economic Statecraft. 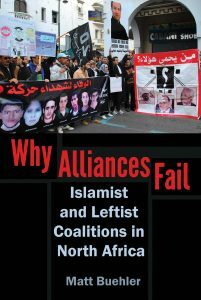 Princeton, Princeton University Press. I borrow the term “wages of oil” from: Michael Herb (2014) The Wages of Oil: Parliaments and Economic Development in Kuwait and the UAE. Ithaca, Cornell University Press. Bahgat, G. (2017) “Sovereign Wealth Funds in the Persian Gulf States,” Oxford Handbook of Sovereign Wealth Funds. Oxford, Oxford University Press, pp. 595-617.